Piece of Fuet with Pepper of 200 grams ready to slice, to taste and eat. 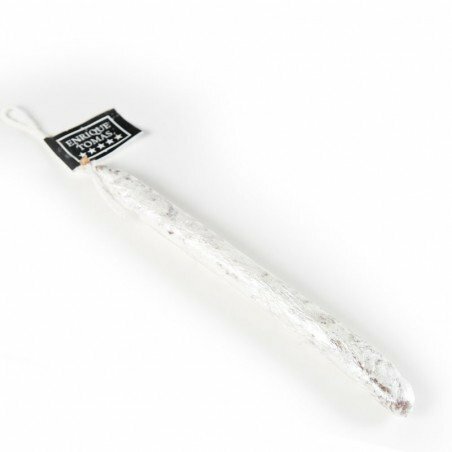 This sausage has been prepared in an artisan way with pork meat and bacon, salt, pepper, milk proteins, dextrin, lactose, and dextrose. No added dyes or nitrites. 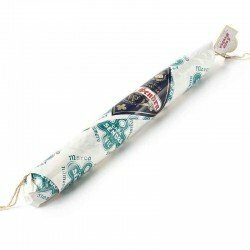 Fuet is a typical Catalan sausage served as a starter or as an aperitif. It is a gastronomic reference in the world of sausages and those who try it, do not regret it. 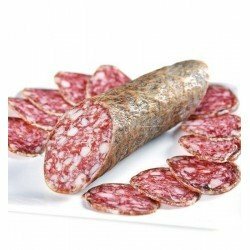 This variety of peppered fuet is the result of experience and the search for new flavours. If you live in Spain and know the rich gastronomy of the country, you may have no problem identifying any of these three products, but there are still some who do not distinguish the differences between them. We begin by clarifying then, that these are three handmade sausages that make us fall in love with their flavour, texture and aroma. Size: These three products are stuffed into a casing, which is usually pork, and the size of the casing differs in each of them. The Salchichón is the thickest, then we have the Longaniza which is usually a little flatter and slightly oval, to finally reach the fuet which is much narrower, being the smallest of the three. Curing: Another important aspect of our sausages that is directly related to size, the larger the product, the longer it takes to cure. 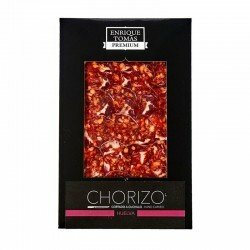 Ingredients: Although the three sausages are produced from lean pork, ibérico de bellota, depending on the particular product, the ingredients make an important difference and, in addition to this, the artisan production process of each one. 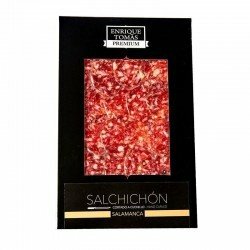 The Salchichón and the Longaniza are usually similar, leaner and peppery, unlike the fuet which, in its most traditional version, does not usually include this spice.